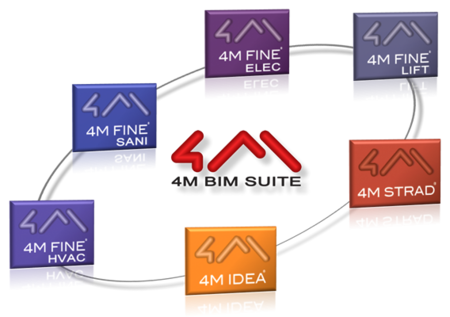 4M is a pioneer in BIM with a complete suite of BIM Software for Architecture & Engineering initiated in 1993. The 4M BIM Software renown by experts to be the BIM software offering the easiest migration for AutoCAD users as they are the only ones to use DWG as their native file format and an AutoCAD-like look-and-feel. Logical functions speeding up the modeling process. The 4M BIM Suite always one step ahead the competition. just make the comparison yourself and see the difference.